Call or Text Listing Agent - Jason Richards - The Real Estate Center of Spearfish - 605-381-1087 for more information. 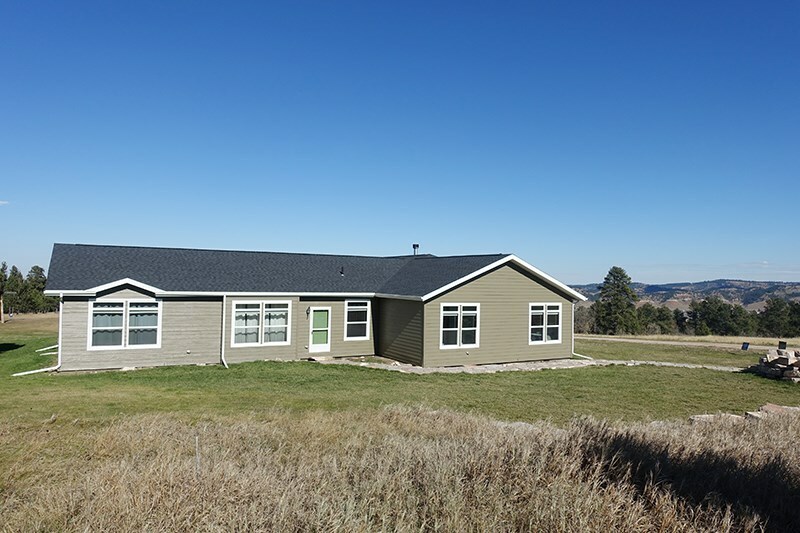 Hard to find 8 Acre Property with newer modular home in a country setting with amazing views and yet only 2.5 miles to Downtown Spearfish! West property line even borders 400 acres of Game and Fish Habitat Section and snowmobile and hiking trails are not far down the road! Amazing location for someone that wants some space but needs to be close to town. The home was built in 2011 and features one level living with 2658 square feet. Home consists of 5 bedrooms, 3 bathrooms, 2 living rooms (one with wood burning fireplace), Nice office nook, large laundry/mudroom off the 3 car attached garage, master bedroom with double closets, and tile shower. The kitchen is large with ample storage and nice appliances and features an island, walk in pantry, built in desk, and built in hutch. Home has 9 foot ceilings throughout. Basement/Substruct: Crawl Space, Poured Concrete Fd.